Le Voyageur under sail. She was identical to her sistership, except for her Marconi rig. Ramona sported a gaff rig. Surely, above all, the sights and sounds of a fine schooner at sea move the spirit of man. The movement of her hull through the water is the seaman’s ballet. The wind filling her sails is the sailor’s aria, and the love that a mariner feels for a ship is the same as for a beloved. 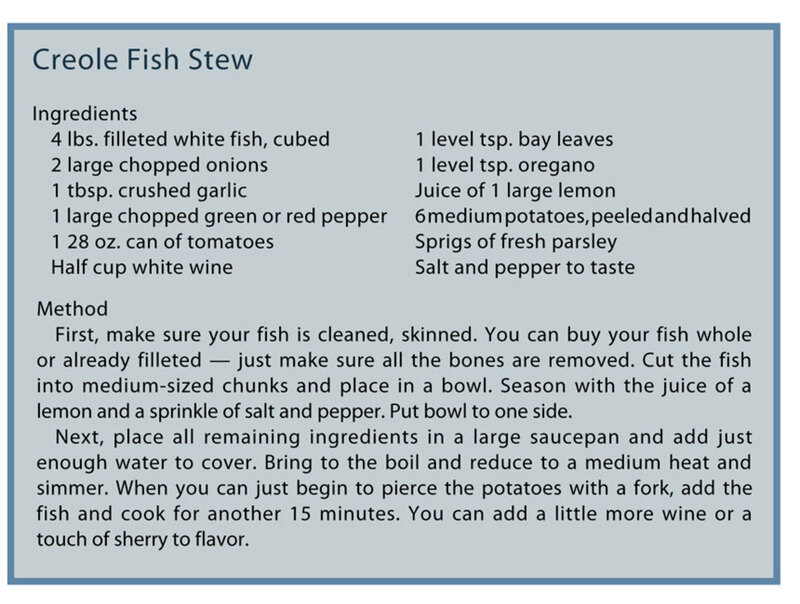 Perhaps more than most coastal folk, we Nova Scotians know this. There is a sense of the ocean here in seafarer country. 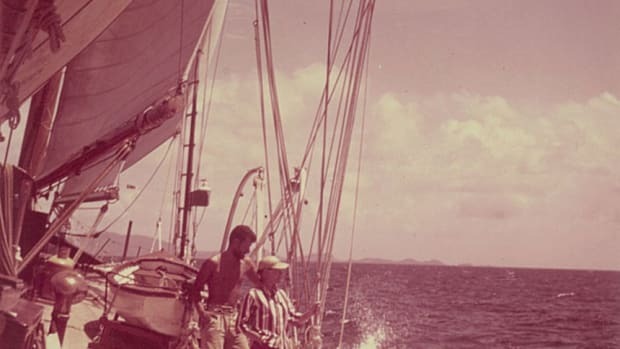 We are now, and always have been, a sea people, born to a legacy of great schooners and strong, adventurers who loved and understood the ocean. Our forefathers built ships and sailed them from this coast since the very beginning, and even those of us who claim to be landsmen have an uncle, grandfather or distant cousin who went to sea. We were famous schooner men in days gone by, and when people talked of us, the words were spoken with respect. Fine sailing ships were born on this coast, and our heritage is just as surely steeped in the salty Atlantic as it is rooted in the soil. 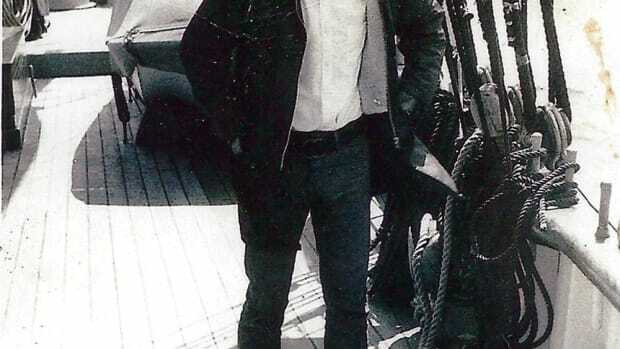 I left Nova Scotia on one of my father’s schooners when I was but 1 year old to live a life before the mast. 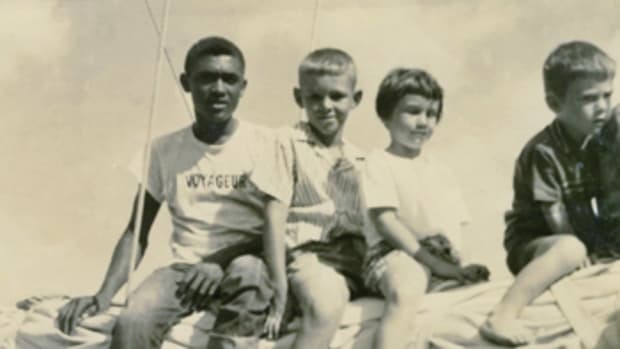 As a young lad growing up in the West Indies, I was lucky to have a father who was in the windjammer cruise business. In fact, my father, Capt. Walter, was a pioneer in the industry. He, along with Lou Kennedy and Irving Johnson, really started the whole thing after World War II. 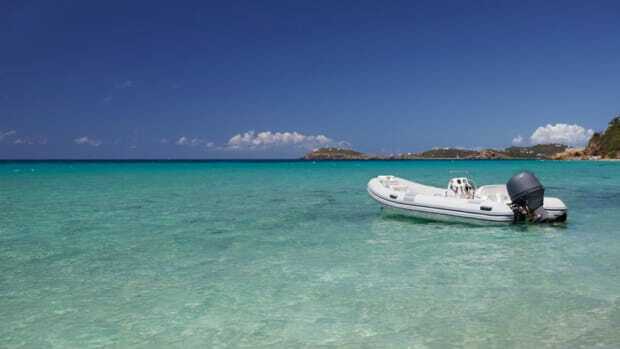 They were able to buy large sailing yachts for a few thousand dollars, and there seemed to be an endless supply of folks willing to pay to sail the unspoiled Caribbean on them. 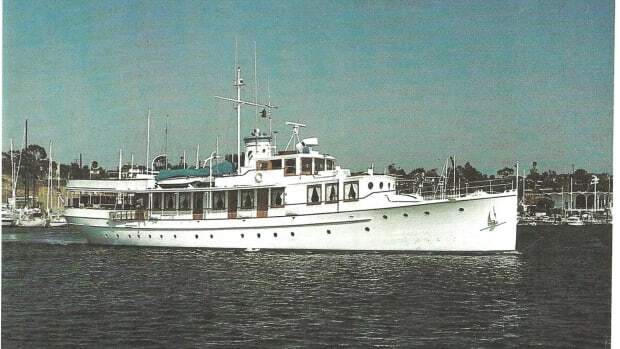 At one time, in the late Sixties and early Seventies, we owned two remarkable sailing vessels, Ramona and Le Voyageur. Both were steel Herreshoff schooners built in 1918 and 1921, respectively. Lovely 138-foot schooners with 24-foot beams and about 15 feet of draft, each had a lead ballast keel of more than 50 tons. They were luxurious and they were fast. Both were weatherly and excellent in light airs. With a good deck gang, the two schooners handled well, and unlike some of their cousins, tacked easily. The Ramona set a record in the Transpac race some years prior to our ownership, logging some 367 nautical miles in 24 hours. The Le Voyageur, under her previous name, Mariette, was the only schooner other than the famed Bluenose to beat the great American challenger Gertrude L. Thebaud (1930). Much later, I was her captain for a time. The two schooners, although 100 percent alike in hull shape, tonnage, rudder and ballast, had different rigs. The Ramona was gaff rigged, and the Le Voyageur, Marconi. Ramona’s gaff rig was slightly larger in total square footage, and her main was bigger. The Voyageur’s fisherman topsail, which flew above the main staysail, was much larger than the Ramona’s. 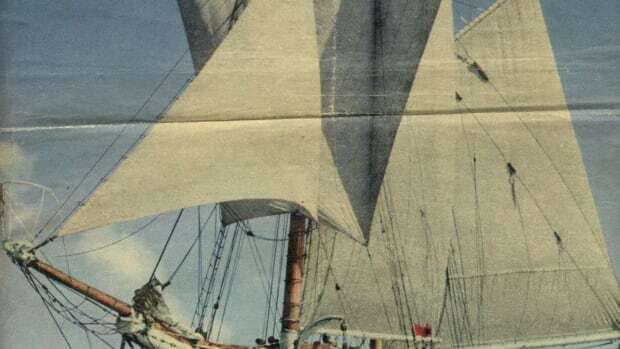 The Voyageur’s larger balloon jib also was bigger than the Ramona’s traditional jib topsail. 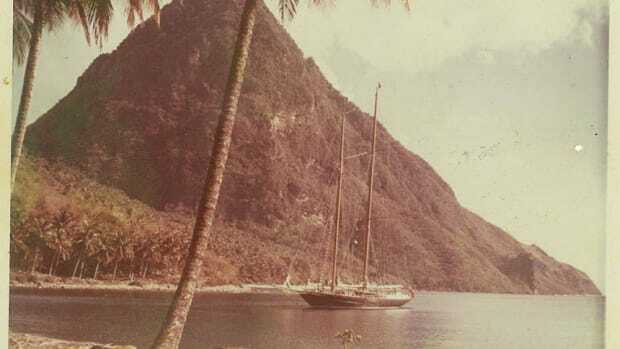 Every year before the start of the winter charter season, the two schooners would be anchored at their homeport of Marigot Bay, St. Lucia, and my father and another captain would select and train their crews for the upcoming season. This involved a number of training days up and down the coast. What better way to put a shine on a new gang than to let them race? And race, we did. Dawn saw us up and getting ready for sea, laying out the running rigging and hoisting boats. Ties were taken out of topsails, and twine stops were put in the fisherman. We closed all portholes, and then the two skippers would give the order, with a small circular motion of their fingers, to heave anchor. 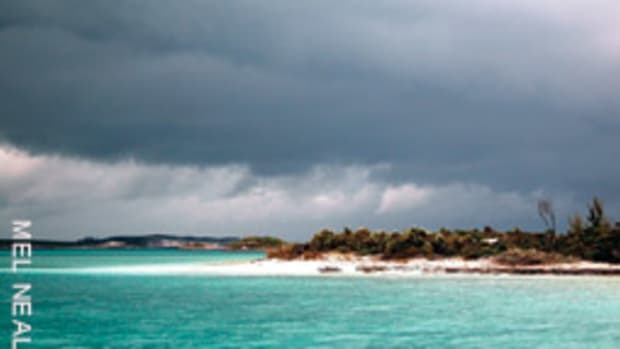 The Ramona and Le Voyageur would round up to set sail in the lee of the island. They were an awesome sight, these tall-sparred ocean Valkyries sailing close-hauled under full sail to the north and then running downwind to the west of the island. I was lucky enough to sail on both schooners over the training periods. It was a thrill on those balmy island days to be aboard two of the finest schooners ever to grace the brisk trade winds. We raced the two schooners a number of times to the west of St. Lucia and into the Martinique channel. We compared them on all points, running, off-reaching and close-hauled. Although the results were slightly in Ramona’s favor, the schooners were a close match, with neither taking a big lead. The gaff-rigged Ramona did better on any point reaching or off the wind, while the Marconi-rigged Voyageur seemed to point a bit higher and was able to hold her speed a little closer to the wind. My recollection is that the Ramona was slightly ahead more of the time. The surprise came when the skippers changed ships one day. 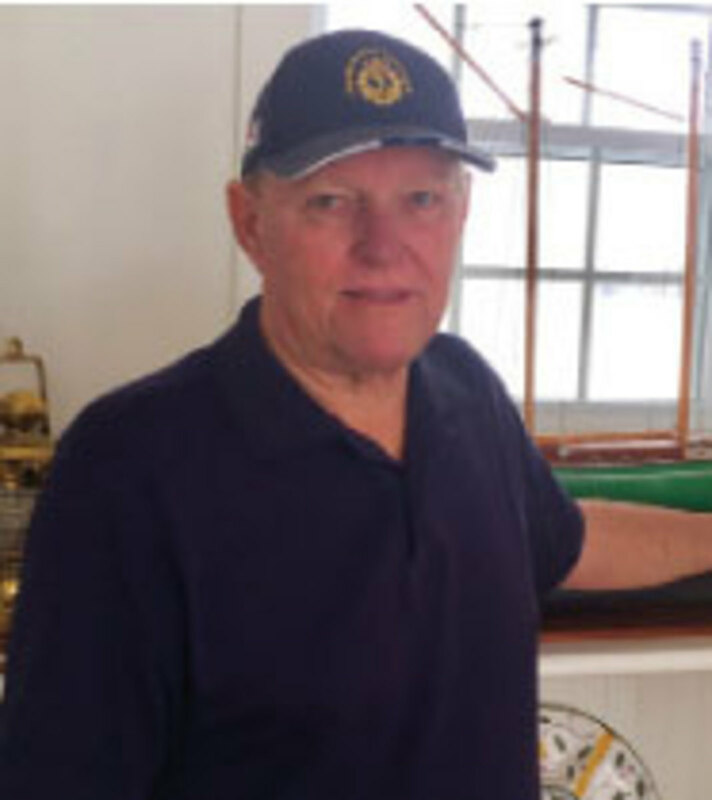 My father, who had been sailing the Ramona, took the Voyageur and gave Ramona to the younger captain, Joel Dressel, who had been sailing the Voyageur. The Voyageur did better on that day. It was clear that the performance of two closely matched schooners depended on the skill and experience of the skipper. Although I did not realize it back then, it was the only time that these two lovely Nathanael Greene Herreshoff sisters would ever test each other in the warm waters of the West Indies. I was truly a fortunate young fellow to have been a part of it. My wife and I commanded the Harbinger from 1994 to 1996. We worked our way south during the Goldwater family cruise, our 138-foot Herreshoff schooner Janeen reveling in the brisk trade winds. 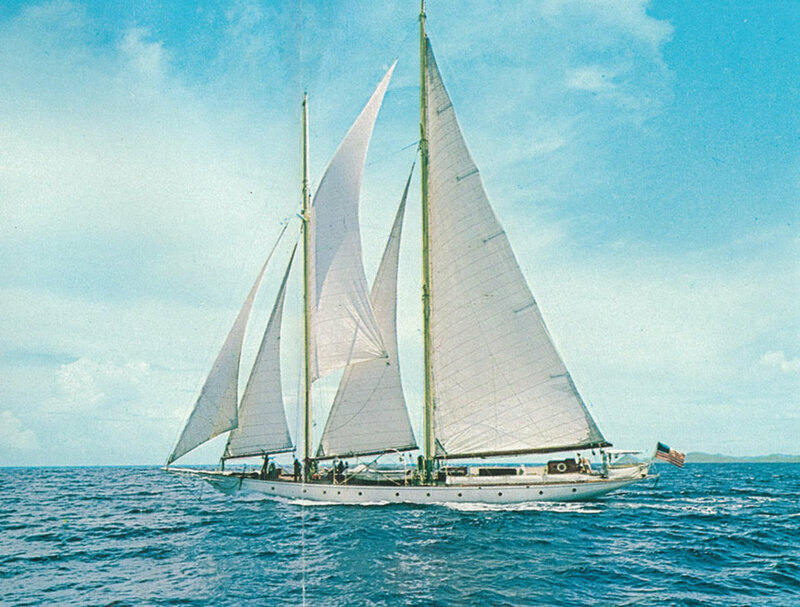 In the winter of 1975, we sailed the 138-foot Herreshoff schooner Janeen (now the Mariette) to the Grenadines.